“Let me tell you why you are here. You have come because you know something. What you know you can’t explain but you feel it. You’ve felt it your whole life, felt that something is wrong with the world. You don’t know what, but it’s there like a splinter in your mind, driving you mad. It is this feeling that brought you to me. You know what I’m talking about? The Matrix is everywhere, it’s all around us … It is the world that has been pulled down over your eyes to blind you from the truth. In the movie, The Matrix, this is the first conversation between Neo and Morpheus. Wonderful science fiction if you love sci-fi movies. And yet something strangely familiar to everyday life, isn’t it? Why is that? I think it reminds us so much of our everyday lives because we also live in a matrix. We live in a matrix of frames. Frames of mind, frames of reference, and frames of meaning. And, it also is invisible to the empirical eye and can only be seen by the eye of the mind. I noted this in the book Frame Games which describes the cognitive-behavioral frames that we construct as we move through life and which become our framework for perception, behavior, feeling, skills, relating, and living. From Frame Games the Matrix Model developed. This book is for anyone who works with people and wants a model that will help to simplify the complexities that we bring to our tasks and relationships. It’s for anyone who wants to more fully understand him or herself, or others. It’s for those who seek to influence people —teachers, trainers, therapists, coaches, parents, managers, leaders, people in sales, marketing, writing, consultants, business change agents, and law. It is especially for those who know and use Neuro-Linguistic Programming (NLP) and Neuro-Semantics as part of their tool chest of effective patterns and models. We have designed the Matrix model to serve as an unifying framework for tying together all of the models, insights, principles, and tools. The Matrix Model is for anyone who wants better self-understanding, self-management and self-leadership. The model is a new way for thinking about yourself, your life, how you experience life, how you know what you know, and how others do the same. The Matrix model describes how we create the meaning structures of our mind-body system which, in turn, provide us with our sense of what’s real, what we call “reality.” The model describes our mind-body experience in terms of frames and multiple levels of frames. If you’re interested in understanding yourself, another, or human functioning in general, the Matrix Model will provide you that. If you’re interested in how a group mind works, the frames within frames that determine and govern a cultural framework, political framework, that of a business, or any other community, this model will provide that. How did this Model Come About? 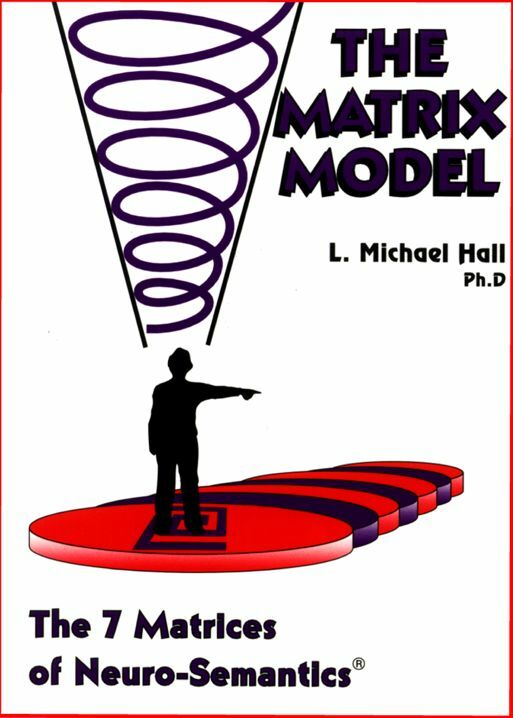 The Matrix model emerged in my awareness in the winter of 2001-2002 and represents the newest model in Neuro-Semantics since the discovery of Meta-States in 1994. My colleague, Dr. Bob Bodenhamer, elicited much of this model from me while we were in Sydney Australia for a month long training. For many evenings, we worked out many of the details at a restaurant. Afterwards, I shared it in Moscow, Mexico, London, and Johannesburg, South Africa … and then I rushed the first edition to print in order to put it into the hands of Neuro-Semanticists and NLP practitioners. Why? Primarily because there were so many associates and colleagues who wanted to begin using and learning this structure for modeling the mind-body system. They recognized that the Matrix model would give them an efficient and effective way to think about working with human transformation. Bob created a PowerPoint presentation of it for our website and Tom Welch made a video-audio recording of one of the presentations. What are some of the Sources from which this model emerged? As a psychologist I stand on the shoulders of many giants who have explored and charted out the territory of human “nature” and functioning before me. I have developed this model mostly from the following disciplines: cognitive-behavioral psychology, Neuro-Linguistic Programming (NLP), Cognitive Linguistics, General Semantics, Neuro-Semantics, Meta-States, and Frame Games. You will also see bits and pieces derived from Reality Therapy, Control Theory, Transactional Analysis, Logotherapy, and many others. Yet in spite of this extensive theoretical background for the Matrix, the model actually is very simple. In presenting it around the world, I have found that even those brand new to Neuro-Semantics easily pick up on the structure with an understanding that allows them to begin using it immediately to transform themselves and others. In rushing the first edition to print I knew that there are many unfinished parts to the model. I also knew that it would be in turning it loose and giving others a chance to bring their knowledge, competence, background, and experimental use of the model that would detail out other facets of the model. And that is precisely what has happened. In this edition I am indebted to many for the incredible questions, suggestions, and experiences that hundreds of people have offered. And yet it is not complete. There’s more research and development that will be made to the Matrix model. Book Review of The Matrix Model by Judith Pearson, Ph.D.